Atlanta Gift- Appelman Schauben- Americasmart Bldg 2, 18th Floor #1830. Dallas Gift- Portico Collection- Dallas Market Center, WTC #631. Los Angeles Apparel- The Dressing Room- LA Kids Market #A610. 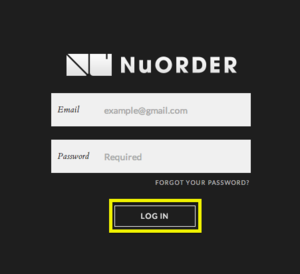 Already a Retailer and need a NuOrder Login? Email sales@shadecritters.com for assistance. If you are a US-based retailer and are interested in carrying Shade Critters, please email the following info to sales@shadecritters.com . We will try to respond to your request during the next business day. Terms: Visa, Mastercard, American Express and Discover. Net 30 Terms are available and encouraged for credit worthy customers. Shipping Charges: Orders ship via UPS ground service from our distribution center in Massachusetts. Freight prepaid and invoiced at our negotiated discounted shipping rates (all discounts are passed along to our retailers). Retailers are responsible for all freight charges. Shipping charges vary depending on store location and items purchased and will typically run between 3%-5% of the order total. Freight is capped at 15% of the order total for full priced merchandise delivered to the lower 48 states. Shipments that are refused without prior permission are subject to a 20% restocking and shipping charges. Cancellations: Cancellations are not allowed once an order has been placed at a show, online or through a sales rep. Please contact customer service at info@8oaklane.com or 772-448-7848 if an exception is requested. Pricing: Prices are in USD and are subject to change without prior notice. MAP Pricing- a Minimum Advertised Price of at least double the wholesale cost is required whether marketed in store or online. Sales are allowed from time to time but MAP pricing should be in effect for the first 90 shelf days. Retailers are subject to account suspension for MAP violations. Minimum Order: Contact office for details. Ship Dates: Ship Date is “immediate” unless a later ship date is requested at time of order. Back Orders: We will do our best to fill orders as complete as possible. Any back ordered items will ship as soon as inventory is received back into stock unless “No Back Orders” is stated on the original sales order. Back orders under $30 will automatically be cancelled. Shipments will incur normal freight charges. Back orders that are refused without prior permission are subject to a 20% restocking fee and shipping charges. Claims for Credit: Claims for defective merchandise or shipping discrepancies must be reported within 10 days of receipt of shipment. Please call customer service or email claims@8oaklane.com to report a claim. Credits will be issued in the form of a credit memo that can be used on future orders. Returns: Unauthorized returns are not accepted. Please contact Customer service to request an RMA #. FL Sales Tax: Wholesale accounts located in, or shipping to, the state of Florida must provide a current resale certificate or be subject to a 6% Fl sales tax. Past Due Accounts: Orders for accounts that are past due will not ship until the past due balance is paid in full. Please contact AR@8oaklane.com with any questions. Finance Charge: Accounts 60 days or more past due will be assessed a finance charge of 1.5% per month until paid in full. Accounts over 100 days past due will be turned over to collection and will be assessed a 25% service fee.